An edgy elegance. 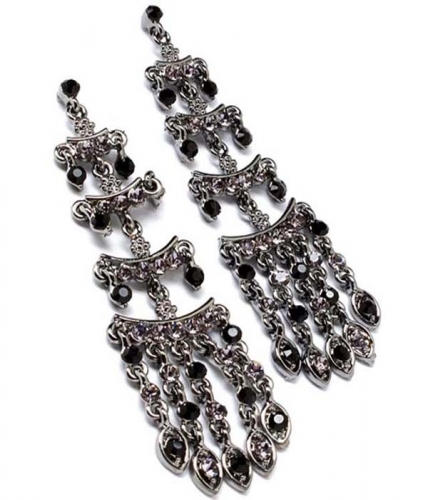 The Eleanor Earrings combine gunmetal chain and black crystals for an evening Chandelier with difference. Wear it with your favourite little black dress. Add any of our attractive chandelier earrings to your favorite summer outfit and make it pop!